The Utah Film Center is thrilled to present the 4th annual Tumbleweeds Film Festival for Children and Youth. 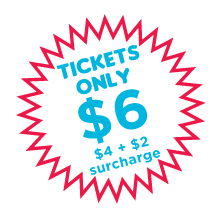 The 2014 festival features independent, documentary, and foreign feature-length films and short film, March 14-16 at the Rose Wagner Performing Arts Center and the City Library in Salt Lake City, and the Park City Library in Park City. Filled with humor and energy, this delightful collection of short films offers fun for the whole family! Elephants are the only animals unable to jump, but that doesn’t stop a baby elephant from trying. A modern and humorous take on a classic nursery rhyme. When Mac the squirrel finds a giant acorn, he wants to keep it all to himself. But what if sharing helps him enjoy the acorn more? Meet Papa Cloudy whose tears make rain and who helps fix broken hearts. Filled with action, music and dance, this is the story of a chicken who falls in love with an elephant while keeping her eggs safe from a snake. It’s playtime for a group of imaginary creatures, who love to hop in and out of holes. When Miriam’s younger brother becomes stuck in a tree while flying a kite, she must figure out how to rescue him. A fish that loves playing with bubbles does its best to stop the bubbles from reaching the surface of the water where they pop and burst. Will the fish succeed? A boy in Africa receives a paper snowflake in the mail and wakes up to find the savanna desert has been transformed into a winter wonderland! When a pair of hedgehogs wakes to find their forest home has been transformed into a city, they come up with a plan to get their home back. 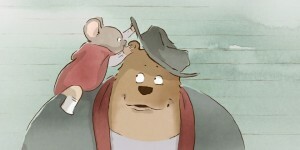 “Mice and bears can never be friends,” according to the rules in the charming world of Ernest and Celestine. Celestine is a young mouse in an underground land where cautionary tales of bears are told and all mice are destined to become dentists. But that doesn’t stop Celestine from dreaming of becoming an artist. After being assigned a mission above ground—in the world of bears—Celestine meets Ernest, a big bear, clown, and musician who lives on the fringes of bear society. Ernest welcomes her into his home, challenging established order. But when forces above and below ground discover Ernest and Celestine, their unique friendship is tested. Will the unlikely pair be able to overcome the long-standing divide between mice and bears? Based on the Belgian book series by Gabrielle Vincent, this charming and beautifully animated film has been a festival favorite around the world. Travel to the magical kingdom of Scrapland and join Knight Rusty on an exciting adventure in this wonderfully inventive animated film. 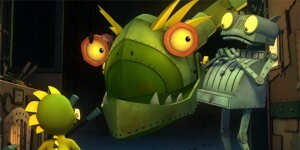 Rusty, a robot, lives in a ramshackle castle with his horse, Chopper, his trusty dragon, Cole, and his close friend, Damsel Bo. Rusty dreams of winning the upcoming jousting tournament, which would make him a real knight, but just as he is about to achieve his dream, he is accused of theft and sets off on a quest to clear his name. Along the way, he learns the values of loyalty, teamwork and true friendship. Join Karl, Hannes, Sophie, and a friendly, but mischievous ghost in this film, which is based on the international best-selling book by Otfried Preussler. The little ghost lives in a castle in Eulenstein and wakes every night for one hour after the clock strikes midnight. The ghost longs to wake in the morning and see the world in the daylight. One day his wish comes true, and he’s excited! However, his presence causes a commotion in town. The only people who are not afraid of the ghost are Karl, Hannes, and Sophie. The three children become friends the ghost, and together they must figure out how to make the ghost wake at midnight again. Will they solve the puzzle before the ghost is captured? 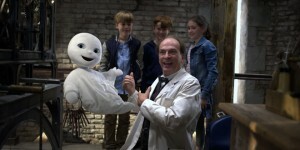 Cleverly combining live-action with a CGI ghost, this charming film about the power of friendship and working together is sure to delight children of all ages. 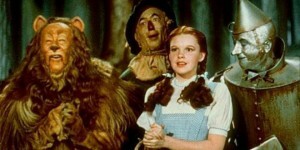 This August The Wizard of Oz celebrates its 75th birthday. Time has not diminished any of the film’s magic; rather this classic musical fantasy has only become more magical in time. Its beloved qualities have become a testament to the talents of those involved as well as the timelessness of its story. Yet at the time of its making and original release, The Wizard of Oz was considered a risky venture—with its huge budget and (mostly) unproven and untested stars. Equally controversial was the decision to turn it into a musical, which was met with some skepticism by die-hard fans of the source material, the most recognizable of author L. Frank Baum’s best-selling “Oz” fantasy novel series.However, audiences back then found themselves enraptured by its incredible sights and impossibly catchy songs. Modern audiences continue to do the same, and the film’s “There’s no place like home” message resonates with all of us still. The Utah Film Center is proud to present, as part of the 2014 Tumbleweeds Film Festival for Children and Youth, a 35mm print of The Wizard of Oz. Come relive the magic, or experience it for the first time. Filled with adventure and invigorating ups and downs, this film celebrates the power of friendship and the importance of working together to stand up for what is right. Meet Mika, a ten-year-old with Asperger’s Syndrome. He loves math, cannot tell a lie, lives with a strict routine, and has difficulty making friends. One night Mika’s life is turned upside-down when, to his astonishment, he sees a horse on his neighbor’s balcony! Wanting to spend time with the horse, Mika discovers it belongs to Sascha, a math teacher who wants to sell the horse to pay off his gambling debts. Mika wants Sascha to keep the animal, and enlists the help of Dana, a girl who thinks the only thing strange about Mika is his fascination with math. Together, the two kids set off on a bold adventure to save the horse and help Sascha out of trouble. This award-winning film and extraordinary tale of friendship reminds us that our differences are what make us special. Clever, funny and moving this collection of short films from around the world is a wonderful introduction to the joys of international cinema. 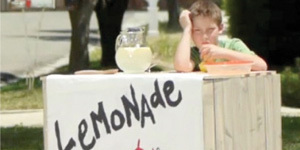 It’s price versus quality when two suburban American boys set up rival lemonade stands. You’ll never guess why Matilde is collecting tennis balls in this clever and eye-opening film from Italy. In this film, created at the BYU Center for Animation, Estefan is the world’s greatest hairdresser. His latest client brings him a unique challenge, but Estefan has not failed a client yet. However, with each unsuccessful attempt, Estefan’s frustration grows and each client’s patience lessens. On the brink of complete failure, Estefan needs a miracle. A beautifully animated fable about a hungry fox and a cunning chickadee caught in a standoff. At a school in Venezuela, Figueroa, a shy boy, is accidentally pushed into the class bully. The other boys demand a showdown at noon, and Figueroa must decide if he’ll show up for fight or try to avoid the confrontation. 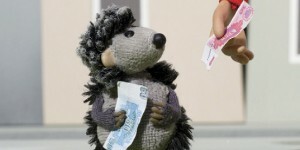 In this hilarious film from the Czech Republic, we explore whether or not Jirka can stop 3 mischievous mice from carrying out a plan to get even with a cat. It’s Joe’s first day at a new school in a remote village. When he misses the bus, Joe begins to run, and discovers that running helps him handle the grief of losing his mother in this uplifting film from the UK. This moving film tells the story of a special relationship between a 13-year-old girl, Mika, and a skittish horse. Unhappy to be spending the summer at her grandmother’s farm, Mika, a rebellious teen, discovers she has a talent and passion for riding horses. Mika is the only one who can calm Windstorm, a beautiful but nervous horse. 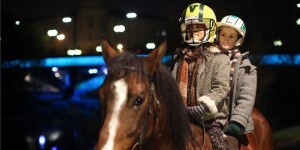 Mika wants to ride Windstorm in an upcoming competition, but will she be able to train the unpredictable horse in time? Find out in this wonderful film about a girl who gains self-confidence by discovering, and following, her passion. Two of Spain’s most beloved comic-book characters—Zip and Zap—come to life in this rollicking adventure. With summer coming, the twin brothers are caught stealing the answers to their final exams, so instead of having a fun-filled vacation, Zip and Zap are sent to a strict boarding school run by a no-nonsense headmaster named Falconetti. The school is worse than they could have imagined. Fun is absolutely forbidden, and the suspicious Falconetti and his security guards seem to watch their every move. But that doesn’t stop the brothers from enjoying their summer. After making new friends, they form the Marble Gang, and their ongoing mischief and resistance to authority lead them to discover a mysterious secret—one begging to be solved! This new film from director Óskar Santos explores themes of friendship, courage, and acceptance and is a wonderful addition to the children’s adventure-film genre. Its great performances, engaging special effects, and humorous, fast-paced story are sure both to entertain and to surprise you. Adobe Youth Voices (AYV) is a global initiative of the Adobe Foundation. Designed to ignite young people’s creative confidence by providing a foundation in using advanced digital media tools and tested storytelling techniques, AYV works with youth around the world. This program features nine short films that were produced at AYV partner sites around the world by 13 to 19-year-olds in school and community based settings. The program also features films produced during the recent AYV Film Camp presented in partnership with Spy Hop and SHIFT. A mixed media, non-traditional PSA encouraging people to explore their subconscious and creativity. A series of interviews exploring how teenagers at a Bay Area high school perceive their ethnicities and what role this plays in their identities. 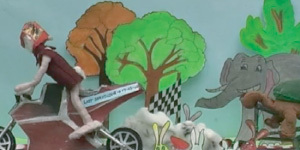 This stop motion animation film uses the tortoise and hare parable to tell a story about environmental choices and consequences. A powerful film created to convince those who are going through tough times that there is a way through everything. The outskirts of Yerevan, the capital of Armenia, are bleak, but 12-year old Arthur is proud of his birthplace and is determined to save a tree. A touching music video where a young boy builds his own city to deal with his loneliness. This film shows that together we can solve global community issues. Using animation and narrative, this film allows viewers to see through the eyes of a homeless person. In this uplifting film from South Africa, 14-year-old Felix Xaba must overcome obstacles at home and school in order to fulfill his dreams. Felix is a talented pennywhistle player who wants to be a jazz saxophonist like his late father, but his mother forbids it, worried it will lead Felix down the wrong path. The right path emerges when Felix is accepted on scholarship to an elite private school. However, because bullies begin picking on him, school is difficult for Felix. 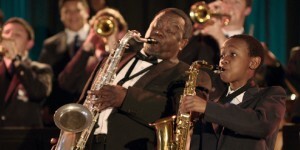 Felix sees the school’s jazz concert as his opportunity to prove himself. Since the school isn’t looking for a pennywhistle player, but a saxophonist, Felix enlists new friends and his father’s old bandmates, and sets out on a quest to learn how to play the saxophone and let his musical talents shine. Filled with wit and hope, this inspiring film will have you cheering for Felix as he pursues his dreams. This great collection of short films focuses on girls: their experiences, their strength and their diversity. Katy dreams of becoming a witch, and after the initial joy of having her wish come true, Katy must figure out how to reverse her spells before it’s too late. Pearl faces a challenge when she needs to make a family tree for a class project, because she has never met her father. So, she sets out on a quest to find him. Sarah is bored spending time with her scientist father until a mysterious shopkeeper gives her a puzzle that ignites her fascination with science. With their mother working late one night, Evan decides to scare his younger sister Idunn. However, Idunn isn’t afraid to turn the tables. 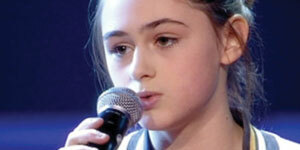 Bente loves to sing, and her strong talent lands her a spot on the television show, The Voice Kids. After appearing on the show, Bente’s life changes—formerly overlooked by other girls, Bente is now popular. This film is a refreshingly honest portrait of a young girl learning to be true to herself. 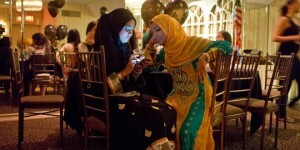 Nearly one in four young people in America are immigrants or are children of immigrants. This engaging documentary follows a year in the life of five immigrant teenagers at NYC’s International High School at Lafayette as they navigate the ups and downs of adolescence, while adjusting to a new life in America. You’ll meet Sing, a refugee from Myanmar who is struggling to learn English; Brandon, who made a perilous journey from Guatemala to reunite with his mother after 10 years apart; Sandra, a tomboy and class leader from Poland and her inseparable best friend, Jennifer from the Dominican Republic; and Itrat, who feels divided between her former life in Pakistan and her new home in America. Filled with humor and honesty, I Learn America is an inspiring look at five vibrant teens who, with the help of supportive teachers and administrators, work to overcome challenges and build a better future in their new land. Eleven-year-old Modulf sees himself as a kind superhero who saves other kids at school from being bullied by allowing the tough kids to pick on him instead. Everything changes when Lise, a girl his age, moves in next door. Lise doesn’t see Modulf as a superhero, but instead as a boy being bullied. Lise creates havoc in the ranks and suddenly she is the one who must be saved. Modulf is then forced to face his own situation honestly and do something about it. Hands-on LEGO Robotics demonstrations are open to all Tumbleweeds Film Festival attendees in the Rose Room, where Zaniac instructors will teach the basics of robotics programming. Are you already a robotics pro? The Game Table will also feature Chess mini-games, Jenga, and more. Play for a prize against a Zaniac instructor, or challenge your family and friends. Zaniac Technology Programs will also be raffled, so be sure to stop by! Every animation film begins with a good storyboard. Storyboards help decide how the story will begin and end and how characters will get from here to there. Creating flip books is a great introduction to storyboarding, the basics of storytelling, and moving animation. Spend as much, or as little time as you’d like to create your own flip book story. Attendees are invited to play the latest version of Minecraft on one of Microsoft’s XBOX 360 portable gaming stations. You can also dance your hearts out with JUST DANCE (version 4) with the new XBOX 1 dance station. Spy Hop Animation Station Open Saturday and Sunday from 11am-5pm. Drop in to Spy Hop’s amazing Animation Station to create your own stop motion scene. Explore how your favorite animated films are made by getting up close and personal with cameras and stop motion sets. Robots? Westerns? We’ve got it all and you’ll get a chance to be in front, or behind the camera, whatever you like best! Join engaging Zaniac instructors for an hour-long Minecraft workshop, where you will plan and design civilizations to explore scientific concepts, all using the world of Minecraft. Have fun playing and building with old and new friends alike! Minecraft workshops take place on Saturday at 2:30pm, and Sunday at 1:00pm and 4:00pm, and are FREE for all! Learn computer-programming skills like sequences, loops, and iterative development—real-world techniques used by all computer programmers. Zaniac instructors will guide your use of a fun and accessible educational programming language called Scratch, developed at MIT. Create your own games and videos, and acquire the tools to continue to learn on your own. Computer Programming workshops take place on Saturday at 1:00pm and 4:00pm, and Sunday at 2:30pm, and are FREE for all!